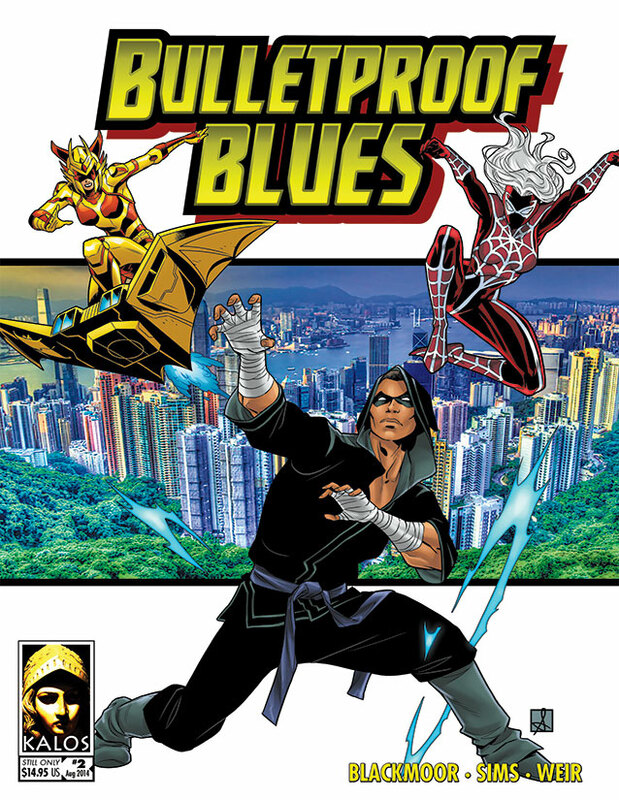 During the “Super Sale” on DriveThruRPG (which just ended a few minutes ago), no one bought any copies Bulletproof Blues, nor of any of our supplements. While this isn’t great news, it’s not all bad. It means that the useful period of monetization of the game has ended. For this reason, we have set Bulletproof Blues to “Pay What You Want“. If new folks want to try out the game, they can, at no cost. If they like it, and decide to help support future sourcebooks with their hard-earned money, they can. Everyone wins. On the one hand, most characters who have more than one attack power, or more than one mental power, etc., tend to have them at the same (or nearly the same) rank. So having to buy ranks in Telepathy separately from ranks in Mind Hold (for example) seems a needless complication. Why not have a base value for the character’s power level, and then have a list of their powers? On the other hand, the current method, in which ranks in Flight, Super-swimming, and Super-jumping (for example) are all bought separately, makes a character with all three powers way more expensive than a character with just Flight (for example). But the character who has all three movement powers isn’t actually all that more powerful. So why make that character so much more expensive? Here’s a possible drawback of this model: it makes the strength of a power implicit rather than explicit. In most cases, this shouldn’t be a problem — Blast is obviously based on Power, Mind Control is obviously based on Willpower, and so on. But what about something less obvious, like Stretching? Would that be based on Strength, or Power? Perhaps the attribute should be placed after the power name: “Stretching (POW)”? Or perhaps we should just default to powers always being based on Power unless it is really, really obviously something else (i.e., when in doubt, use Power). A second drawback is that this model would make it difficult or impossible to have a team of characters who have similar sets of powers, but at varying power levels. For example, a team of psychics, all of whom have Telekinesis, Telepathy, and Mind Control, with each being most powerful with a different power (one character has strong Telekinesis but weak Telepathy and Mind Control, another character has strong Mind Control but weak Telepathy and Telekinesis, etc. ).